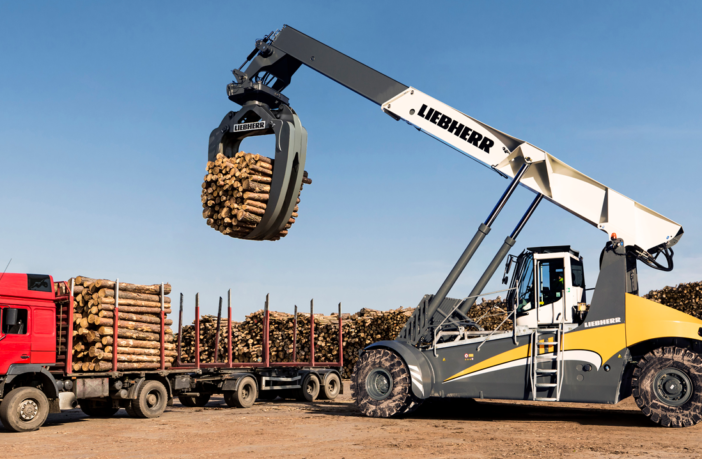 Liebherr has announced its latest log handler will be appearing at Bauma for the first time, marking the company’s maritime division’s debut at the world’s largest construction trade fair. Having already convinced selected test customers, the OEM is now preparing to make the LRS Log Handler more widely available to the construction industry. The main field of application for the agile timber-handling vehicle is the fast, maneuverable and, in particular, mobile transportation of logs within industrial plant premises and timber handling terminals. Wood-processing companies such as sawmills, paper or pulp mills are expected to particularly benefit, as well as transshipment applications in ports and inland ports, and the machine is considered to be a robust, reliable and powerful machine. At this stage, several test devices have already demonstrated their capabilities to selected customers. The LRS LH was particularly convincing with its impressive grapple capacity of 8.2m² and an unprecedented load curve. The working area of the machine is characterized by a stacking height and an outreach of over 8m each. The new Liebherr Log Handler combines all the advantages of the well-known LRS series for container handling, with a wide range of modifications specially designed for timber handling. Thanks to numerous parallels to the common reach stacker, the construction of the new device could benefit from many experiences. 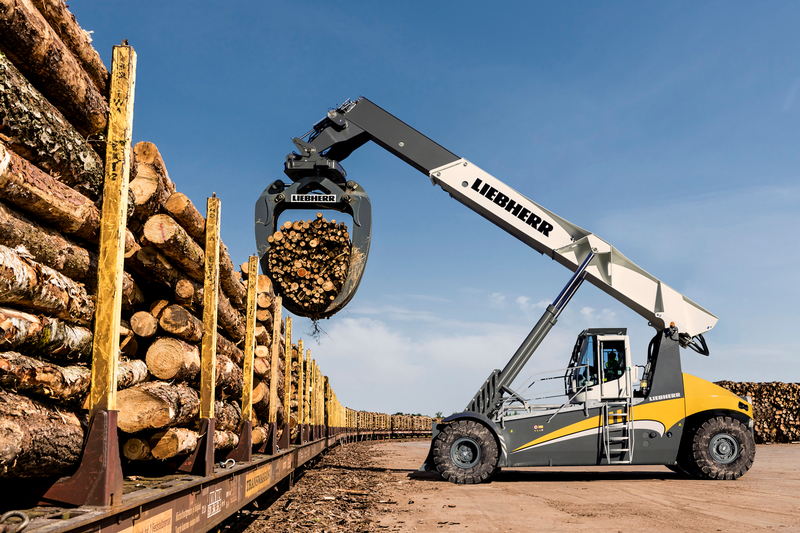 In addition, the Log Handler– like all Liebherr reach stackers– is equipped with a stepless, hydrostatic drive. It is characterized above all by reduced fuel consumption and excellent driving performance. The onboard hybrid drive system fitted as standard in the Log Handler enables a temporary increase in performance without additional fuel consumption and exhaust emissions, if required. The sustainable hybrid drive therefore reduces the emission of CO₂ and other harmful substances. The fuel saving is achieved through complete utilization of the regenerative energy and surplus power in the system. The Pactronic system from Liebherr is an impressive power booster. With Pactronic, Liebherr smooths the path toward goods handling with high efficiency and low emissions. Other new features for the Log Handler include a log pusher specially designed for timber handling and a massive protective structure for the driver’s cab.